A landmark event in independent wrestling history. 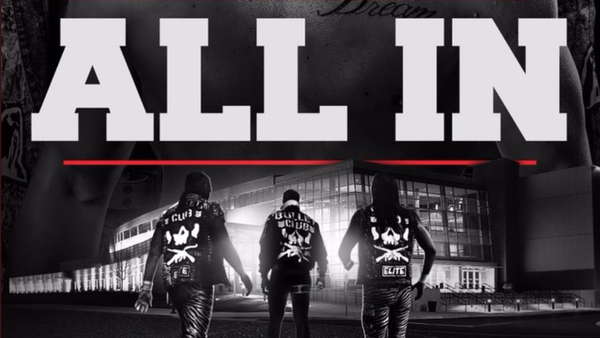 Though ALL IN didn't go off without a hitch, it was the pro-wrestling party of the year, and a roaring success that matched all realistic expectations. It was an excellent representation of what the global scene has to offer in 2018. Multiple Being the Elite angles were paid off throughout the night, from Joey Ryan's death, to Flip Gordon's long-running exclusion angle. Cody vs. Nick Aldis came packed emotion and catharsis. In Kenny Omega vs. Pentagon, the event delivered a first-time singles clash to satiate the Match Of The Year crowd. Women's wrestling was well represented by four of the brightest talents on the planet, Hangman Page vs. Joey Janela brought the insanity, and though curtailed, the six-man main event was a beautiful, blood-pumping spotfest. Cody and The Young Bucks pulled it off. After selling the 10,000-capacity Sears Center out in 30 minutes, they were under immense pressure to deliver, but they did. The trio deserve all the credit in the word for betting against Dave Meltzer last May, because it just paid off in spectacular fashion.